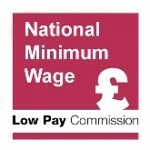 Each year there is a big fanfare in the media when the National Minimum Wage (NMW) rates are announced by Government, but very few people know how these recommendations come about. Let me enlighten you about one of the most important aspects of our evidence gathering (on low pay) – Commission visits. I work for the Low Pay Commission Secretariat and as part of my job I accompany Low Pay Commissioners around the country to find out from employers and employees what their views are on the NMW. The exam questions the Commission have to answer include: how high can the rates be set without damaging jobs? And now the National Living Wage is being introduced, what impact will it have and what path should it follow? Working out the answer is far from straightforward. While we do lots of analysis in-house on trends in the labour market, including assessing the impact on businesses and workers; commissioning independent research; and undertaking regular formal consultation, there is no substitute for getting out and about to see what is happening locally on the ground. That is why, this autumn and accompanied by my Secretariat colleague Jay Arjan and two Low Pay Commissioners, Peter Donaldson and John Hannett, I found myself in Belfast for a two day whistle-stop tour of the city. While there we met with employers from social care, child care, hospitality and manufacturing, workers on low pay, as well as local trade union representatives and NMW enforcement officers from HMRC. Why Belfast? The minimum wage currently covers just over 5 per cent of jobs, a proportion set to triple by 2020. But its effects are not felt evenly across the country. They are likely to be biggest where wages are lowest, or the wider economy is weakest. A key measure of minimum wage impact is the ‘bite’ – its value relative to average earnings. The government has set a target for the National Living Wage to reach 60 per cent for workers aged 25 and over by 2020 for the UK as a whole. But the minimum wage reached this point in Northern Ireland last year. It will rise to 69 per cent by 2020. This reflects that Northern Ireland has the lowest median hourly earnings of any country in the UK. As well as being at the bottom of the UK league table on low pay, Northern Ireland also records the lowest employment rate (67.8 per cent) across the UK compared with 73.5 per cent for the UK in 2015. Further, output (measured by Gross Value Added) per head in Northern Ireland was the second lowest (across UK regions and countries) at £18,000 per head compared with £23,000 for the UK, and this country also registered the smallest growth (0.9 per cent) in output per head across the UK last year. Stakeholders we met told us that Northern Ireland has been slower than elsewhere in the UK to emerge out of the recession. All told the economic challenges it faces means that Northern Ireland’s principal city is a good place to look and listen for views and evidence on the impact of the minimum wage. Unsurprisingly perhaps, the biggest reaction we heard was one of surprise. While some businesses and many trade unions welcomed the National Living Wage, other businesses were concerned about the impact of the higher wage (50 pence above the October 2015 rate of the NMW). We heard that, like the NMW, the National Living Wage will have more of an impact in some sectors than others, particularly affecting those with a higher proportion of low-paid workers. In one of those low-paying sectors, social care, representatives we spoke to argued that the sector has reached a ‘tipping point’ and, unless financial support from Government was forthcoming, a number of domiciliary care businesses in NI could close. In child care, another labour-intensive sector heavily dependent on government funding, the story was also gloomy, with a couple of day nursery owners indicating that providers would have to significantly put up their fees as a result of the NMW/NLW rises. Both owners urged a re-think of the wider regulatory burden on the sector and added that rural nurseries may particularly struggle in the face of rising wage costs. In hospitality, employer stakeholders said that conditions were ‘difficult’ in the sector. For example, hotel businesses in NI had only recently returned to pre-recession levels. Hospitality firms we spoke to said that the NLW would have an impact on differentials (pay gaps) and some employers would shed jobs. In manufacturing we received a more mixed picture. While one company expressed concern about the affordability of achieving the Government’s longer-term objective for the NLW of a much higher rate by 2020, another said the NML increase in April would have minimal impact on their business. Employee representatives took a more positive view, with the NMW workers we met welcoming the pay increases: workers had been excited about the announcement, which had generated discussion in the workplace. However, one worker we met said that wider changes to benefits would personally make them worse off financially. Where both employees and employers agreed was the need to maximise productivity improvements. 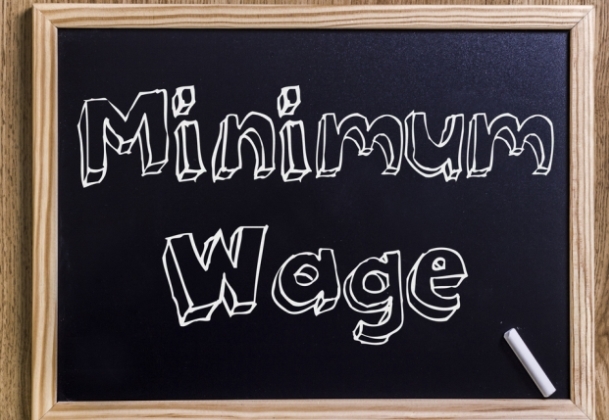 Research shows that firms can adjust to a higher minimum wage in lots of different ways. Fewer jobs, lower hours, less secure contracts, squeezed differentials, higher prices or reduced profits are less desirable ways of meeting the bill than firms generating higher output per head as a result of training, investment and reorganisation. Visits of course do not just deliver insight into questions of affordability. They also provide intelligence on whether workers are actually receiving the pay to which they are entitled. Trade union representatives we met highlighted cases of worker exploitation in hospitality, fishing and agriculture and pushed for continued rigorous enforcement by HMRC on this matter. HMRC officials we met said that they were in discussions with trade unions on this issue and had been particularly active in NMW compliance and enforcement work over the last year, recovering large sums in lost earnings for workers. HMRC added that their new initiatives were beginning to bear fruit. These included focussed interventions (whereby in cases where a worker is content to be named, the HMRC contacts the employer, completes the investigation of the single case, then puts the onus on the employer to review NMW compliance across the workforce) and self-correction (whereby employers who think they may be non- compliant are encouraged to approach HMRC and work in partnership with them to become compliant). I personally found the visit fascinating and would like to thank all those employees and employers who gave up their valuable time to submit evidence to us, which will feed into our report to the government in February 2016. We will continue to monitor developments closely in Belfast and elsewhere to see how labour intensive sectors cope and adapt to a higher minimum wage.